Fans who attended Beyonce and Jay Z's June 28 "On the Run" tour stop are probably wondering if Jay Z has any "Resentment" over his wife's noticeable creative edits. While belting out a rendition of the song from her 2006 "B'Day" album, Beyonce changed the lyrics to the track, causing listeners to question whether she was subtly referring to the rumors that her husband has cheated. "Resentment" has always been the go-to single to lick wounds inflicted by an unfaithful lover, since Bey sings about being betrayed by a lying significant other. Yet instead of singing "been ridin' with you for six years" during Saturday's show, Beyonce switched the length of time to "12 years" - a.k.a., roughly how long she's been with Jay Z. And instead of sticking to the known lyric "like I couldn't do it for you like your mistress could," Bey went with, "like I couldn't do it for you like that wack b***h could." Then, just to finish it off, "I gotta look at her in her eyes and see she's had half of me," became, "I gotta look her in her eyes and see she's had half of me ... she ain't even half of me, that b***h will never be." She strolls around on stage with the hoagie meat hanging out and nothing left to the imagination up top and he's the bad guy? Why isn't anyone interviewing Blu Cantrell? 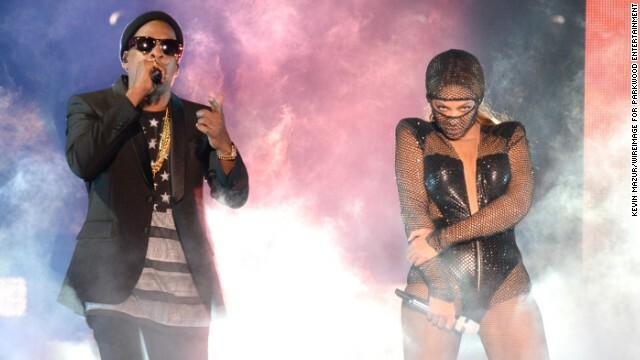 Supposedly, Jay Z had an affair with a "short named R&B singer who is no longer recording". If that doesn't fit Blu Cantrell, I don't know what does. On top of that, Jay and Blu used to date and she has always been very open about having a crush on him. Seriously.